It's the chance to have YOUR design featured on the 2018 Guest Appreciation Festival T-Shirt! 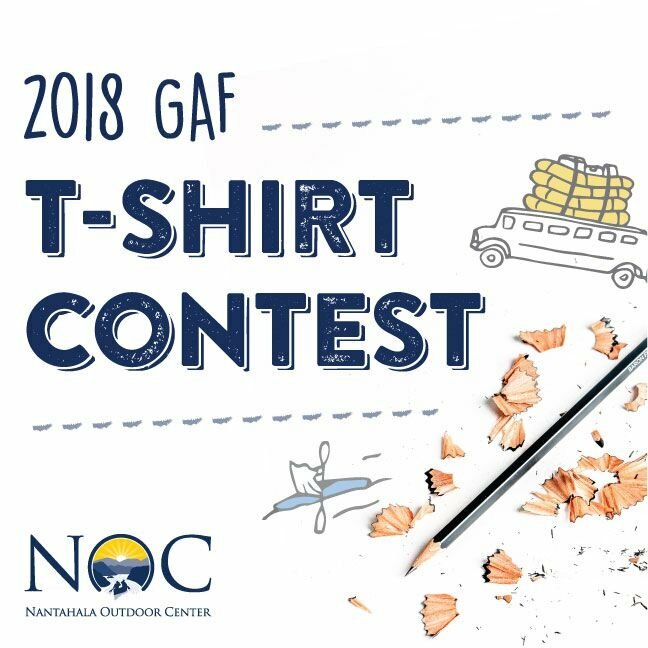 Designs can be submitted through September 1, 2018 - with the winning designer receiving two FREE GAF T-Shirts and a choice between 2 Mountaintop Zip Line Tour Passes or 2 Nantahala Adventure Passes! Nantahala Outdoor Center reserves the right to use the winning submission as it chooses and may request or perform modifications on any and all designs.